After going more than a month without sewer or water, the community of St. Michael can again access those services at the local health clinic and City building. About 10 miles of above-ground water and sewer lines in St. Michael froze up back in mid-January. According to an Alaska Native Tribal Health Consortium (ANTHC) press release, earlier this month, local water operators in St. Michael were able to thaw out those main lines with ANTHC’s support. However, John Nichols, the Director of Rural Utility Management Services for ANTHC, said the lines were thawed out at the end of February, which required a lot of running water. Nichols said in St. Michael there is a limited amount of water left in the storage tank which can’t be replenished until summer, and that played a role in the thawing process. “So that’s why, in St. Michael, they selected community buildings that were closest to the water plant — to thaw the lines to those buildings and not thaw the entire system. Because, as we calculated, to thaw the entire system would have taken months and more water than the community had available, so this was a good way to get as much service as possible to the community while still conserving the water that they had,” Nichols reiterated. 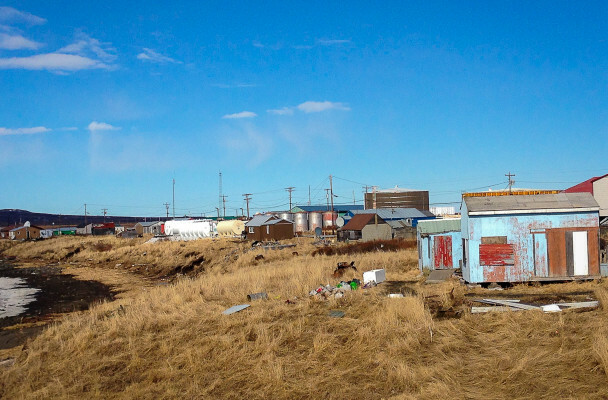 ANTHC and Nichols suspect that the community’s lines froze after the water system was damaged due to melting permafrost and buildings’ foundations shifting. In order to repair the damaged lines and prevent further freeze-ups going forward, Nichols says the Consortium is looking for funding from multiple sources. Residents of St. Michael are able to use showers at the City building; however, Nichols suspects full services won’t be restored to the community until later this summer.